The world as we know it needs a new economics. Climate change, financial crisis and out-of-control globalization - all the major problems facing the world have their root in the dominant economic system. The globalised marketplace is the prevailing force in our lives, undermining the real importance of our human communities and our planet. Green Economics argues that society should be embedded within the ecosystem, and that markets and economies are social structures that should respond to social and environmental priorities. 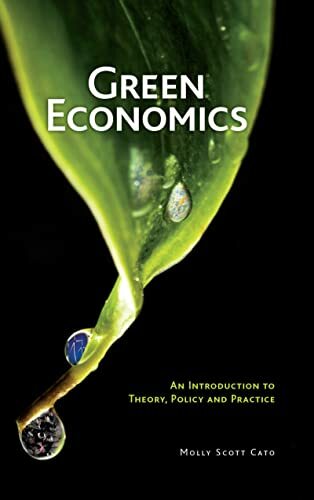 This highly readable text provides an introduction to green economics including views on taxation, welfare, money, economic development and employment through the work of its inspirational figures including Schumacher, Robertson and Douthwaite. It also explores the contributions and insights of schools of thought critical of the dominant neo-classical economic paradigm, including ecofeminism, views from the global South, and the perspective of indigenous peoples. Examples of effective green policies that are already being implemented across the world are presented, as well as policy prescriptions for issues including climate change, localization, citizens' income, economic measurement, ecotaxes and trade. 'An excellent introduction to a rapidly developing branch of political economics ... the scope for debate is one of the things that makes this pioneering book so exciting.' Richard Douthwaite, Feasta, the Foundation for the Economics of Sustainability 'Ground-breaking ... I think her book is insightful, and contains many remarkable policy ideas' John-Paul Flintoff, The Sunday Times 'Here is a book which explains in clear terms the economic paradigm for the 21st Century.' Caroline Lucas, Green Party MEP and leader of the UK Greens 'Green Economics will be an invaluable aid.' James Robertson, Pioneer of the New Economics 'What is particularly refreshing in this account of a sustainable economy is the author's positive language and practical thinking ... At last, here is a serious book on economics which has a clear narrative and is enjoyable to read.' Green World 'It is a serious book written by the grown-up version of the kinds of people who are currently invading airports, chaining themselves to those coal trucks on the way to power stations and populating climate camps. ...I was convinced by many if not most of the arguments being put forward in this textbook. I found it clearly and consistently enough written to read from beginning to end without getting bored and I thought, at the end, if I were to be asked to teach a course on economic geography, then this is what I would turn to.' Journal of Economic Geography 'A fine reader for any college-level class in world economics and ecology.' The Bookwatch, Midwest Book Review, July 2010. 'Highly recommended to all budding 'economists'!' Brian Leslie, Sustainable Economics.